Strong and glamorous women in action! FULL COLOR premiere of the new quarterly ongoing series!!! 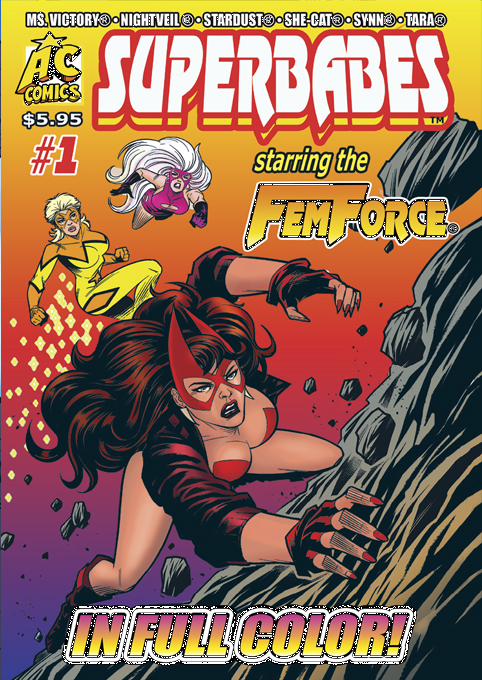 The FEMFORCE must deal with a mysterious crashed spacecraft. Are the occupants FRIEND or FOE? Find out in “Headhunter’s Wake”. 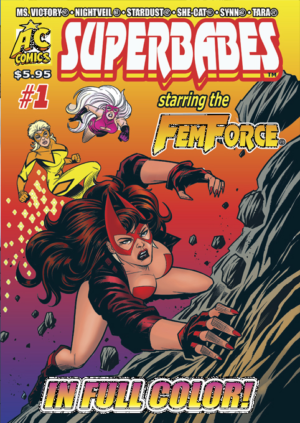 Comicdom’s foremost all-female superteam in COLOR on glossy paper for the first time! !